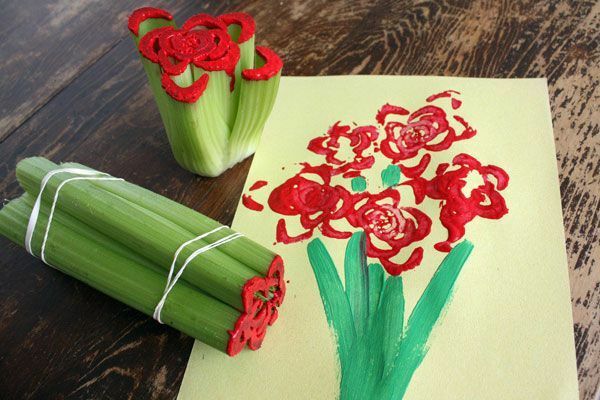 Celery can be used for far more than a healthy diet, as you can see with this craft. This celery painting will allow you to create unique flowers using celery in its natural state, all bundled together to form intricate-looking petals. Dip them in paint and bring a garden to life.